If you are familiar with me, you know I love backpacking. 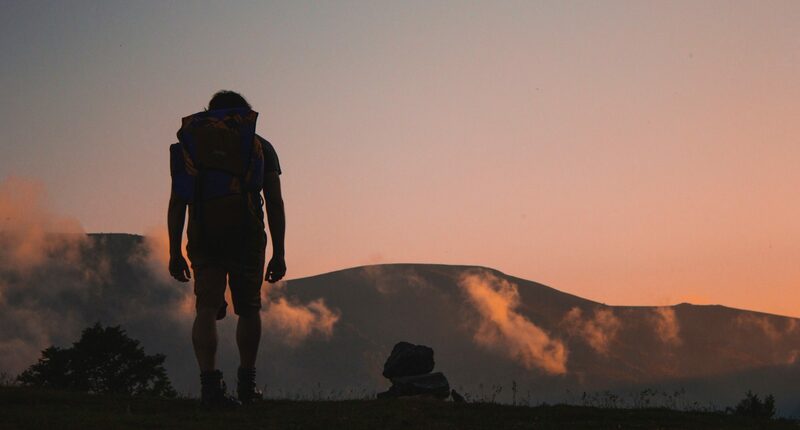 Venturing into the online hiking community will bewilder you with the debate over what is and what isn’t a true backpacker! For instance, if your base weight is not under 10lbs (ultralight), you are not a real backpacker! It’s easy to buy into the “ultralight” mentality as you try to get your base weight down. To get to that base weight will cost you about $2,000. Honestly, if we can’t carry 25 pounds, we should find a new hobby! And then you must be stoveless! This means you don’t carry any means of cooking food. You eat dried foods or cold soak them in water. A friend and I did a stoveless hike last summer. I still laugh at us standing there eating nutrition bars, drinking cold coffee, and telling each other, “It’s not too bad.” Translation, I can hardly choke this down! It’s worth 10oz to make hot coffee! One more thing, you absolutely must wear trail runners and not boots! The “you have to” list is endless. The result is you end up hiking someone else’s hike. The only way you will enjoy their hike is watching it on YouTube. The hiking community has a phrase, “Hike Your Own Hike.” Basically, figure out what works for you and do it! Being that I am a pastor, there must be a spiritual application! In our Christian lives, if you are involved in a local church (which you should), we have a similar issue. There are many people who try to define for us what a Christian is and what one isn’t. God’s Word defines what a Christian is and how we can know we are one! Biblical principles make that distinction for us. Our problems come into play when we get to secondary separation issues. The do’s and don’ts list Christians love to maintain. Disclaimer, some of them we really shouldn’t do! We all know that “real” Christians don’t smoke, drink, chew or run with women who do! Yet one of the greatest revivals the world has known, was led by a man with a cigar in his mouth who enjoyed a good shot of whiskey every now and then. For me, because of past struggles, neither is a good idea. But those are not what define me as a Christian. God defines me, not others! The Bible has its own version of Hike Your Own Hike, we find it in the book of Philippians. Philippians 2:12b …work out your own salvation with fear and trembling. In the backpacking world, someone who achieves the status of “ultralight”, has developed a high level of skill to survive with very little equipment. It took a great deal of time, research, trial and error to operate at that level. They are truly hiking their own hike. Work out your own salvation is the same. If we are depending on others, “the YouTubers of the church” to tell us what a Christian is, we will end up trying to live the testimony of others in our Christian lives. We do need to learn from the testimony others. They have experience, made it through trials and passed the tests of faithfulness. But work out your own salvation means we cannot assume their faith, testimony and relationship with God. A relationship with God is a personal thing “your own”. As a Christian, the only way to have a relationship with God is to personally invest the time! You must learn to Hike Your Own Hike!